When I was a junior in high school thinking about where to go to college, I drove five hours from Asheville, North Carolina to Sewanee, Tennessee to visit Sewanee, The University of the South. The campus, or “Domain” as they call it, is 13,000 acres with beautiful architecture and a proud alumni base. 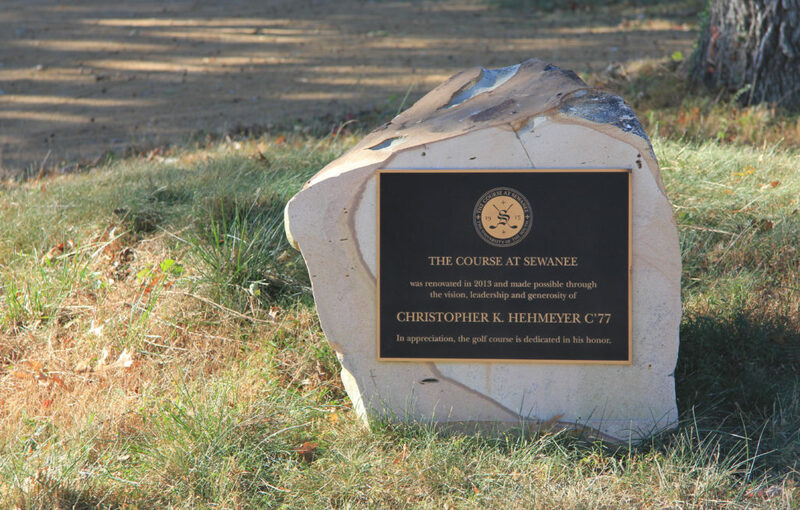 Ironically, eight years later I found myself standing on the first tee at Sewanee discussing how Gil Hanse of all people had redesigned the course. Sewanee is located on Cumberland Plateau between Nashville and Chattanooga, Tennessee. 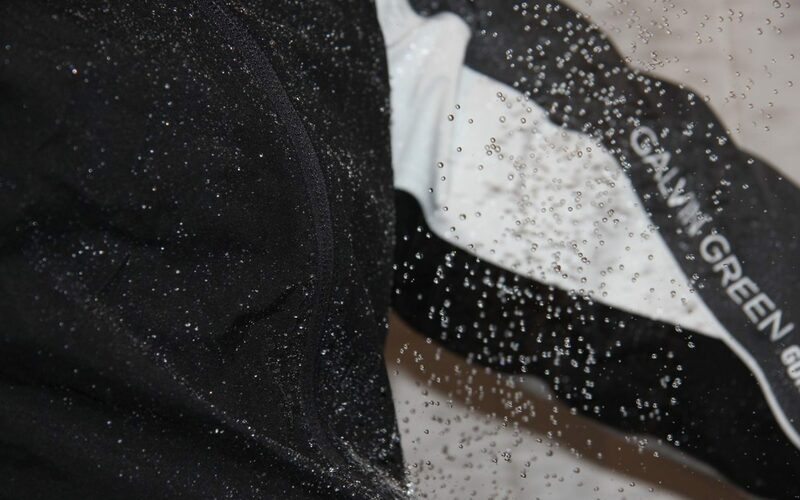 It was founded in 1857 by a small group from the Episcopal church. In 1863 it was destroyed by Union soldiers, was then rebuilt, and was firmly established as a place of higher learning. 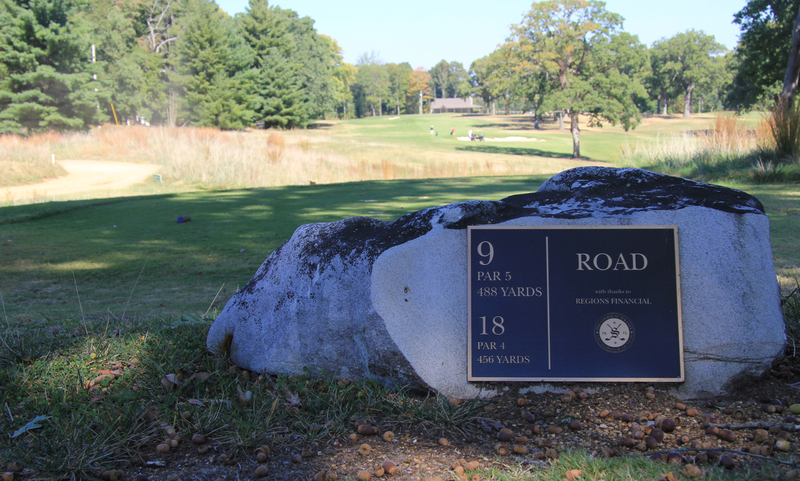 The course was originally designed by Albion W. Knight, the reverend at Sewanee, in the early 20th century. He had no course design experience, but with a team of mules and the help of the school football team, he opened the 9-hole course for play in 1915. It was almost a century later that a group of Sewanee alums began to talk about a restoration. The story is incredibly fascinating, and I highly encourage you to read the full story here by Chris Dortch. 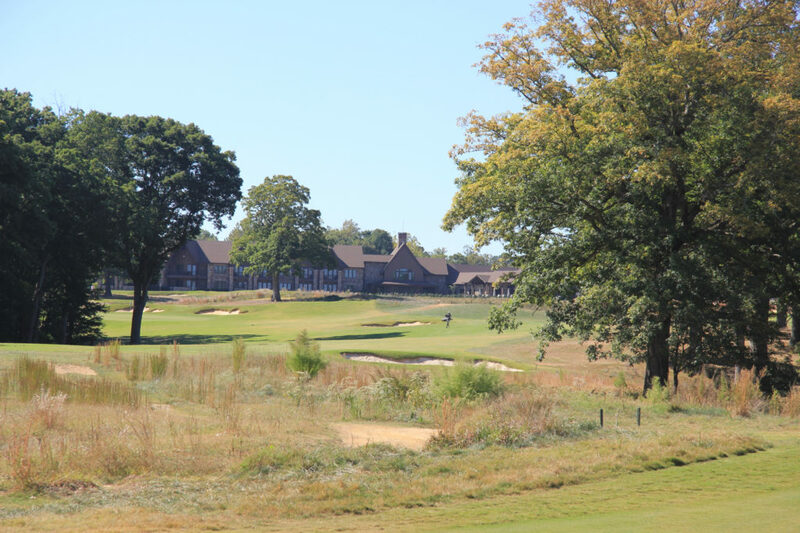 The short version is that a group of Sewanee graduates came together, raised a reported $3.5 million from individuals and businesses, and hired Gil Hanse to completely redesign the course. 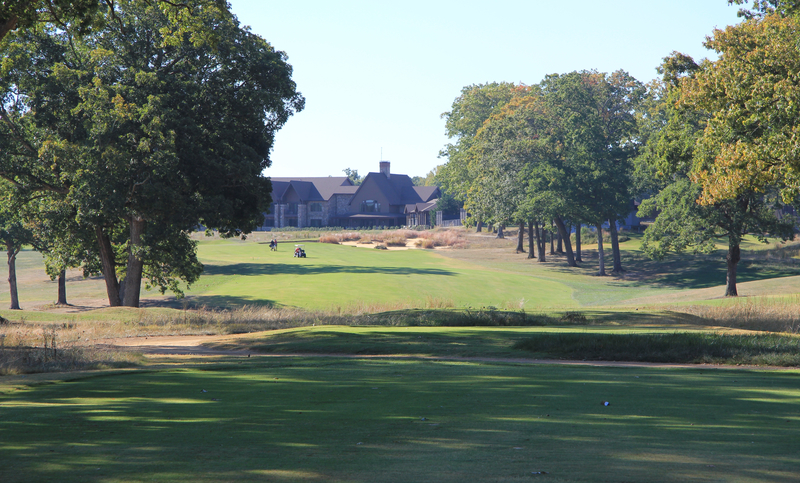 Gil Hanse and Jim Wagner completed the redesign in 2013. 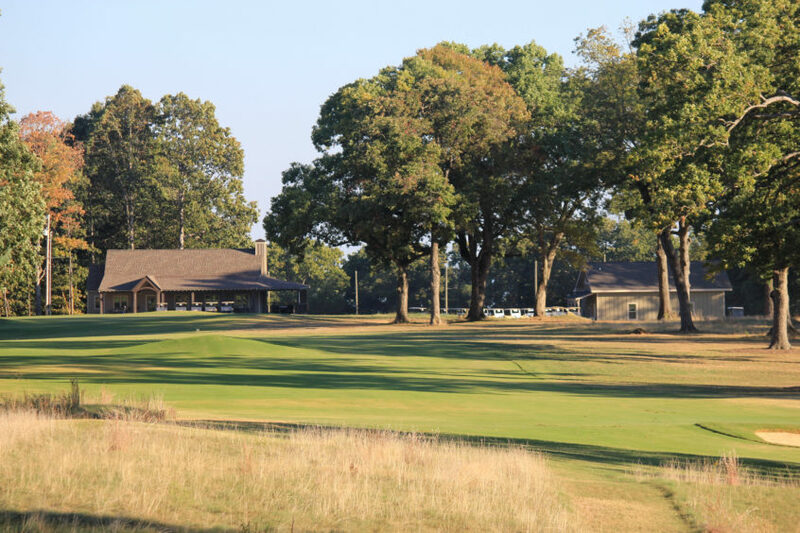 It included nine new green complexes, lengthening of the course, new grass everywhere, additional bunkers, tree removal, and a new practice facility for visitors and the Sewanee team. You will also see a building in the background of some of the photos below. That is the new Sewanee Inn, which is a new lodging option overlooking the course. Prior to its construction visitors didn’t have any accommodation options on campus. I wish I had been able to stay there on my visit years ago! 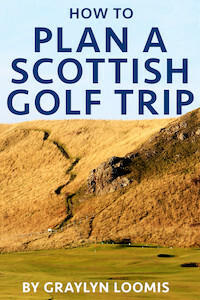 The course is designed with multiple sets of tees that, with two loops of nine, make for 18 holes at 6,672 yards. When you see two yardages and pars in the hole-by-hole section below, that covers the first and second loops of nine. Hole #1 – 461 & 556 yards – Par 4 then par 5 – The opening hole features a blind approach to the green (for the par 4) and makes for a difficult start to the round. 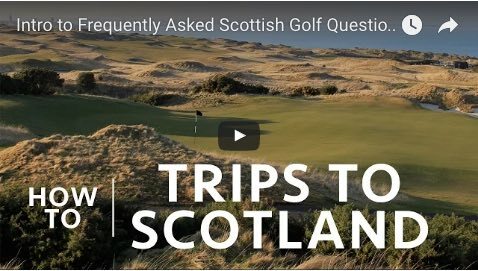 I think it plays better as a par 5 than 4, especially for a golfer’s first round. 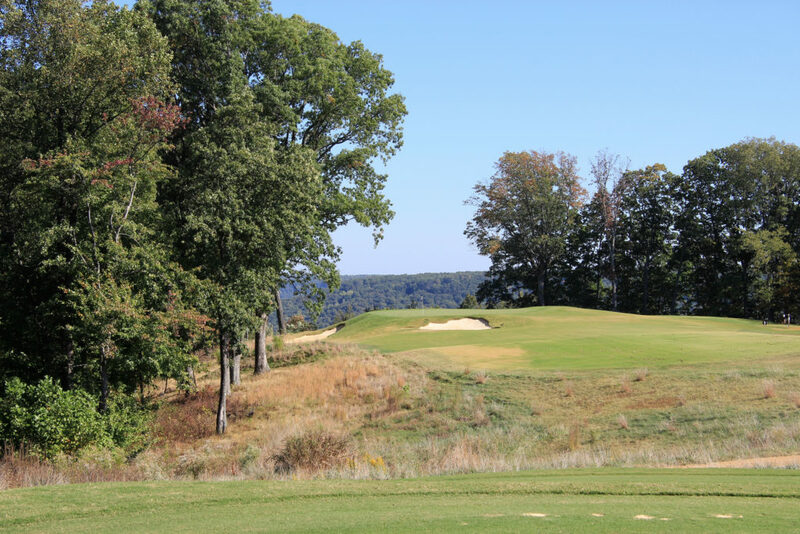 Hole #2 – 548 & 513 yards – Par 5 – Longer hitters can flirt with a creek and old pumphouse that sit at the bottom of the valley short of the bunker you see in the distance below. 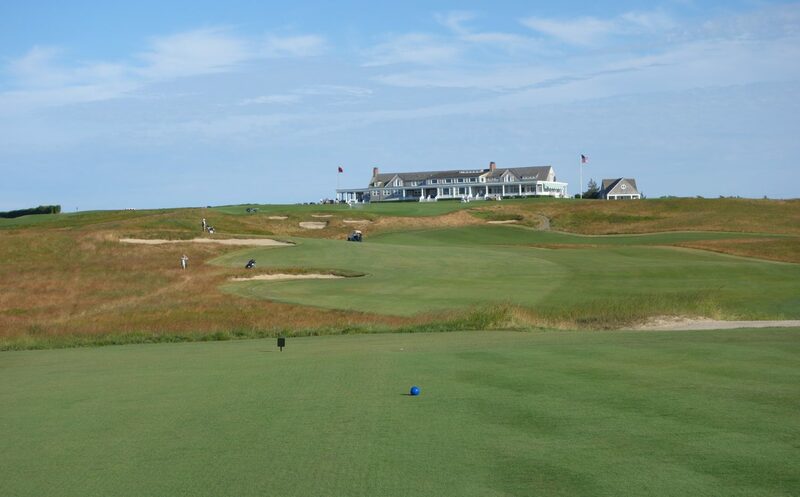 From there, it’s a long poke to hit the green in two. 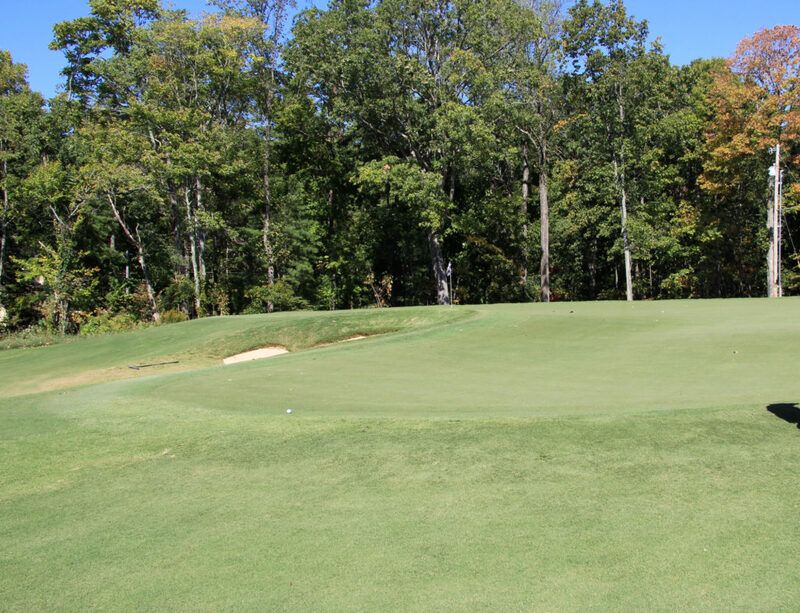 Hole #3 – 187 & 177 yards – Par 3 – Just beyond this green is a steep drop into the bottom of a valley. The view from the green is incredible, and although I understand why they would leave those trees on the left, I can only image how striking this tee shot would be without them. 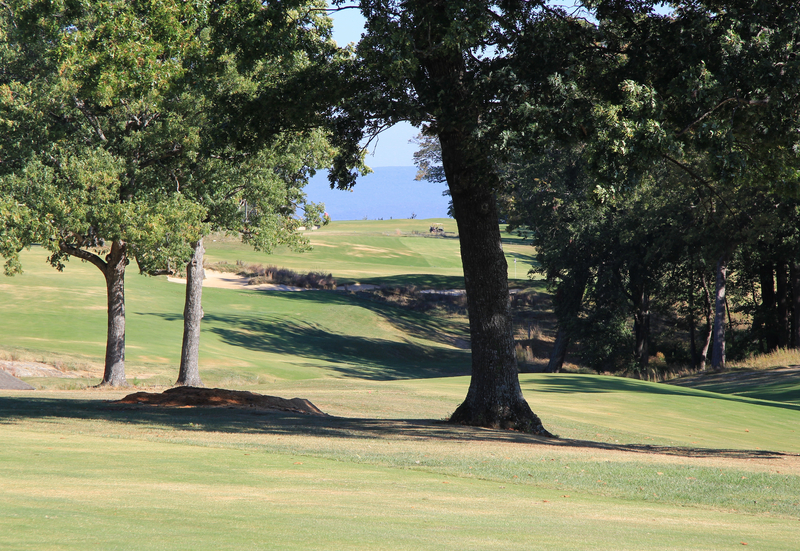 The trees also crowd out approach shots when the pin is on the left. 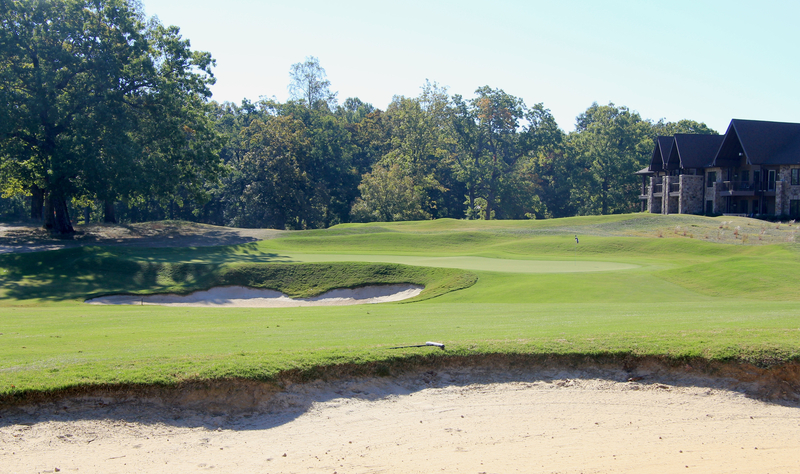 Hole #4 – 246 & 264 yards – Par 4 – This is a great little par 4. 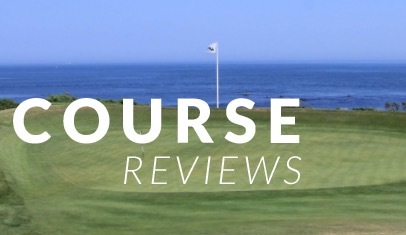 The green is small and challenging and the sloping fairway kicks everything left toward the putting surface. 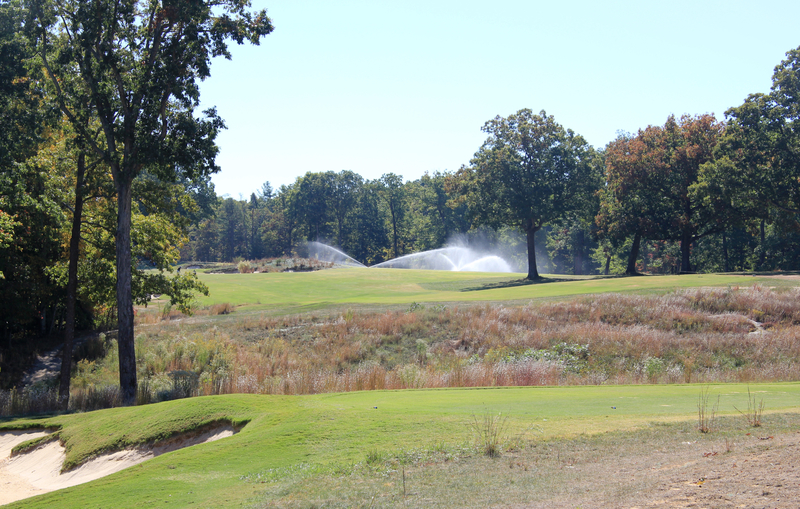 Everything from an accurate wood to a low running iron could work well off this tee. It requires creativity like the a traditional links. 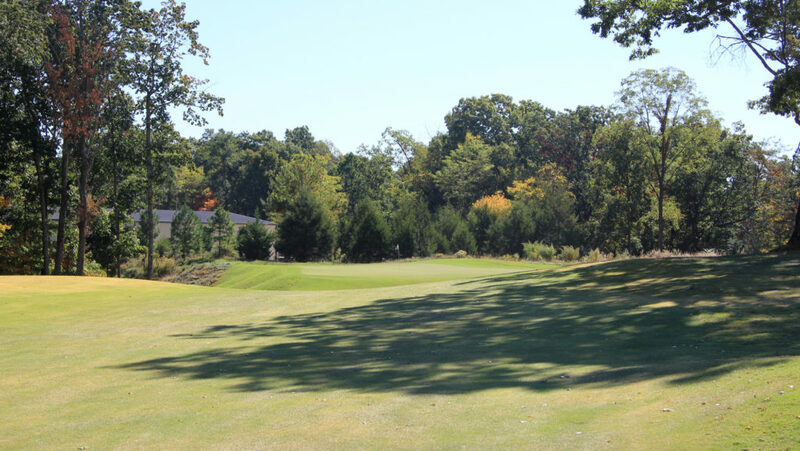 Hole #5 – 218 & 200 yards – Par 3 – This par 3 is similar to the 3rd, but the hole is longer, the green is larger, and the trees on the left don’t choke the approach nearly as much. Just as with the 3rd, the view beyond this green is stunning. 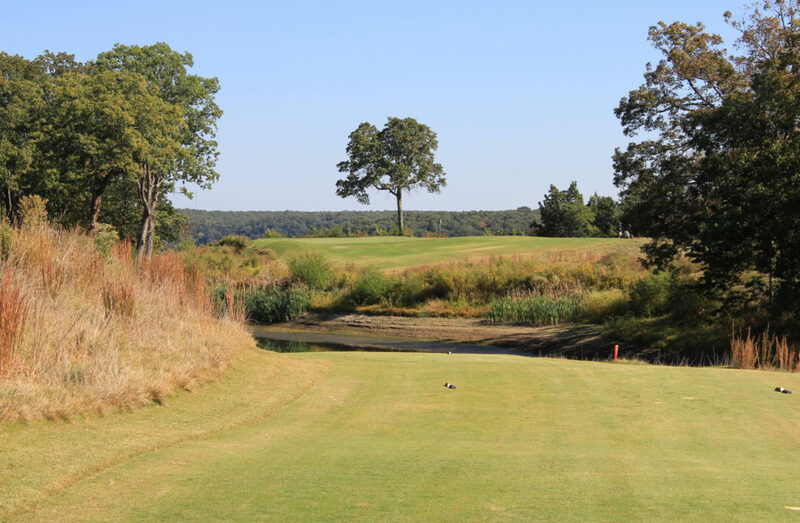 Hole #6 – 437 & 427 yards – Par 4 – This dogleg left par 4 has a sloping fairway that kicks everything down to the left. 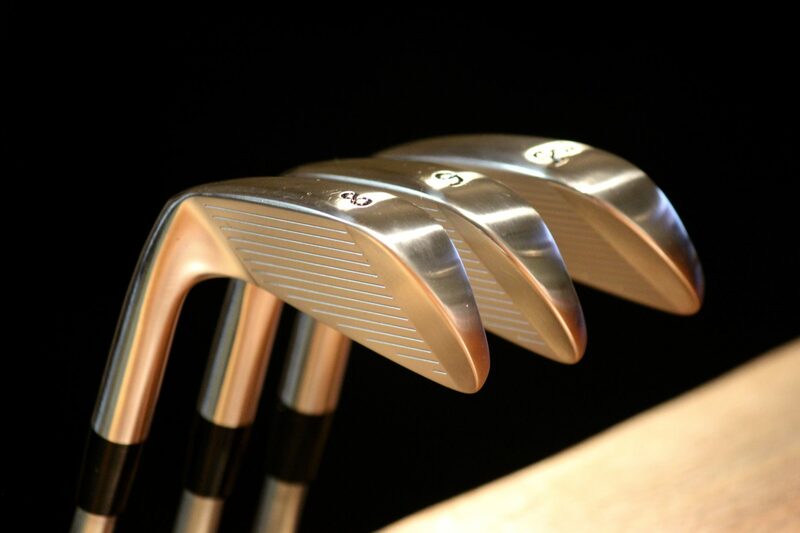 Keep your tee shot right to provide the best unobstructed angle into the green. 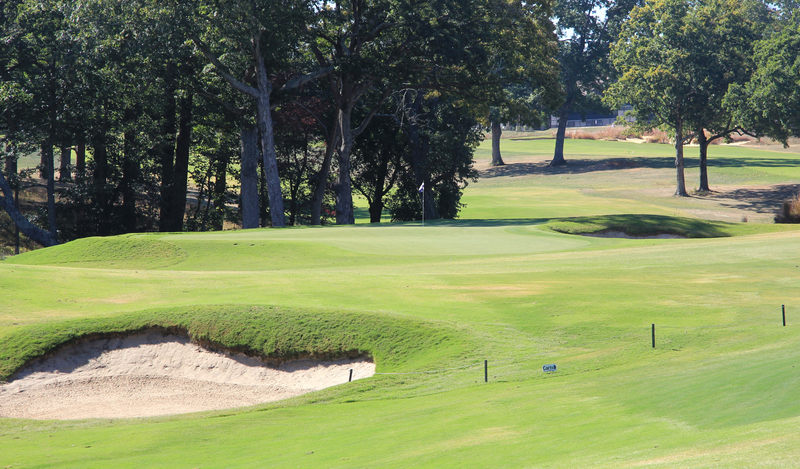 Hole #7 – 402 & 417 yards – Par 4 – Another tee shot up the right provides the best angle into this green. 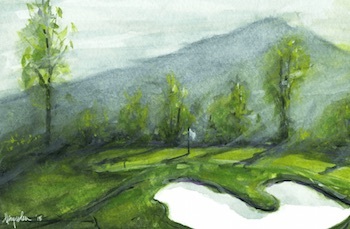 The approach is semi-blind due to mounds before the green. 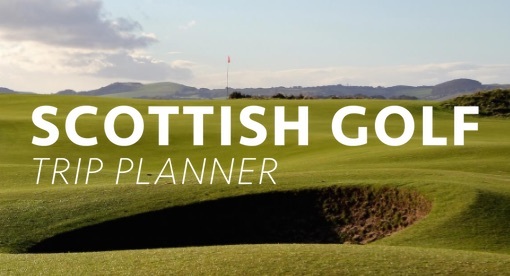 Hole #8 – 315 & 371 yards – Par 4 – You may have noticed throughout these photos that Hanse incorporated template hole elements and Scottish links elements into the course. This hole has a Principle’s Nose feature that you see in the photo below. 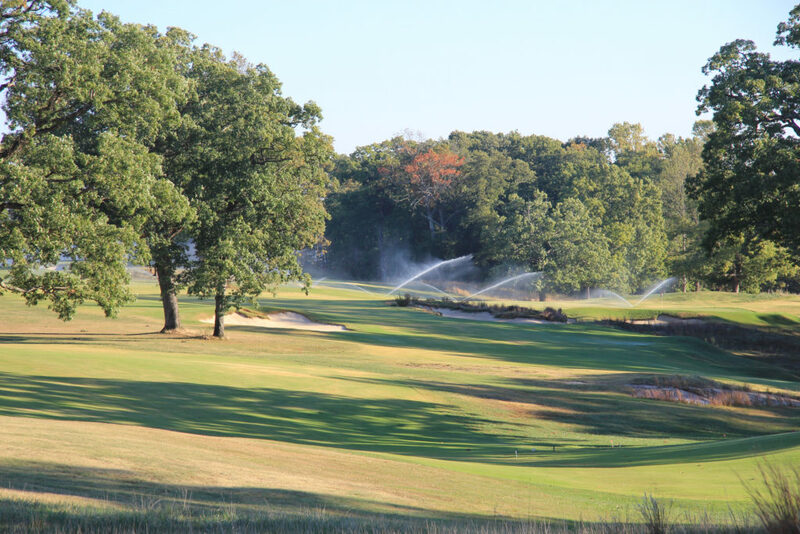 Trees on the right block out approach shots that don’t flirt with the three-bunker complex. 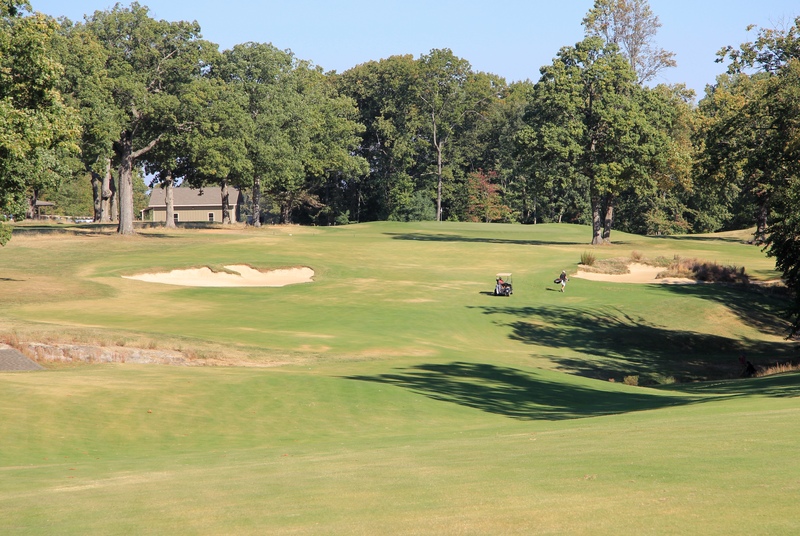 The heavily-bunkered green requires serious accuracy. 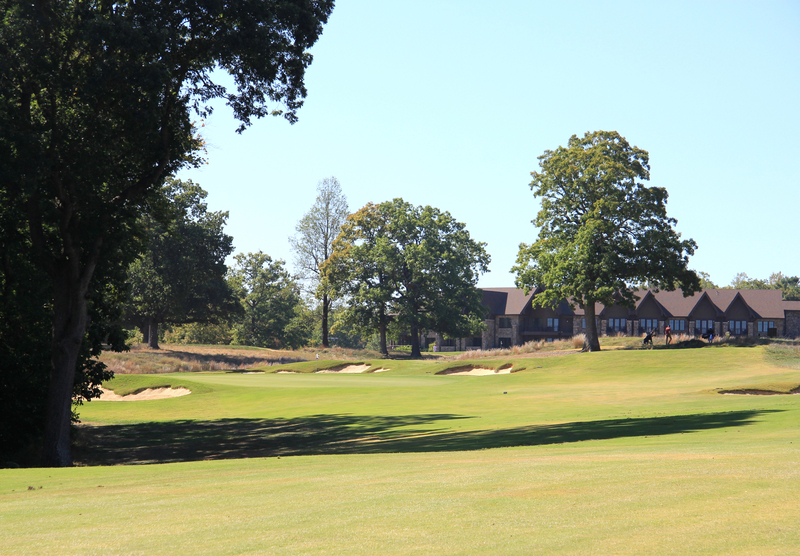 Hole #9 – 513 & 456 yards – Par 5 then par 4 – The final hole plays straight away back to the clubhouse. 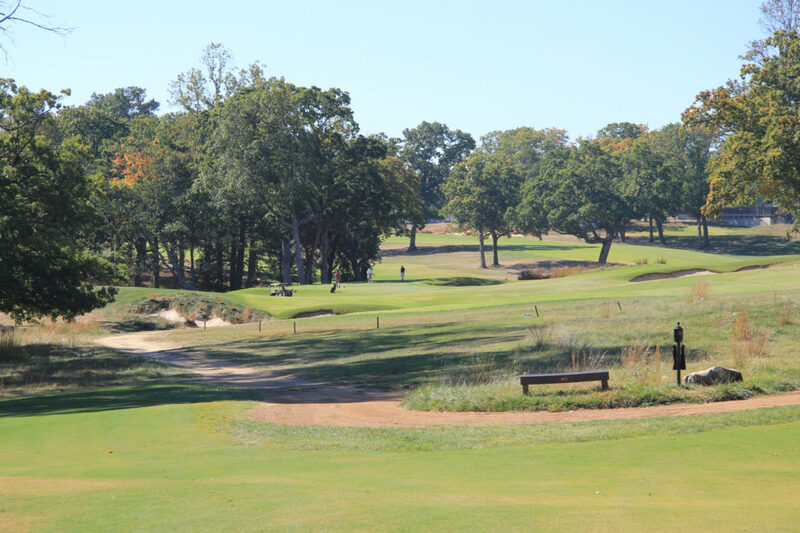 On the second loop of 18 when the hole is a par 4, it’s a tough finisher! 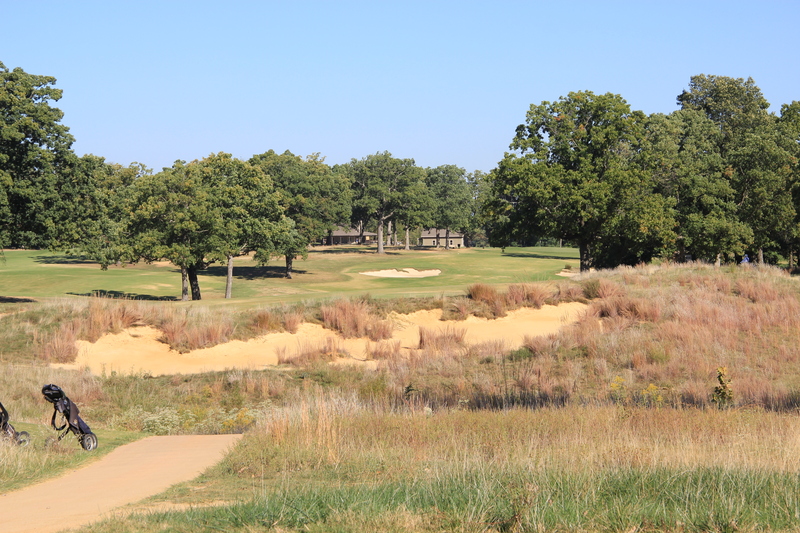 The green complex is modeled off the Road Hole, and the similarities are obvious. 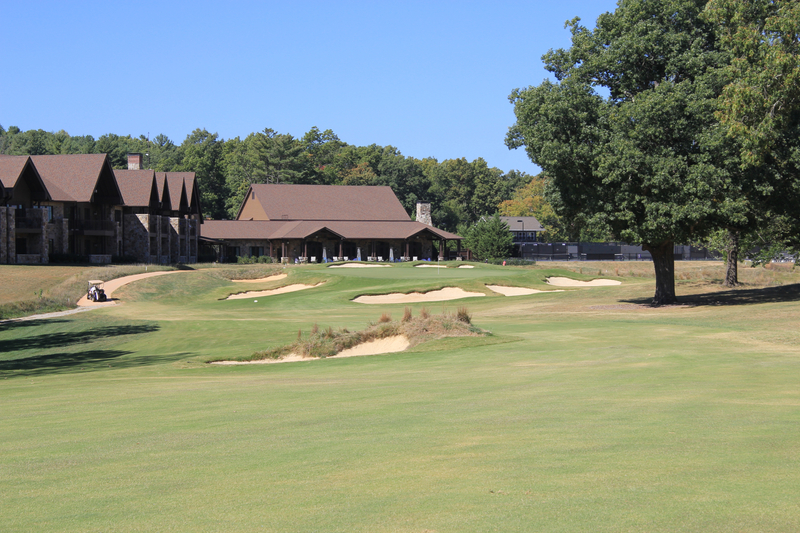 I thoroughly enjoyed my round at Sewanee. 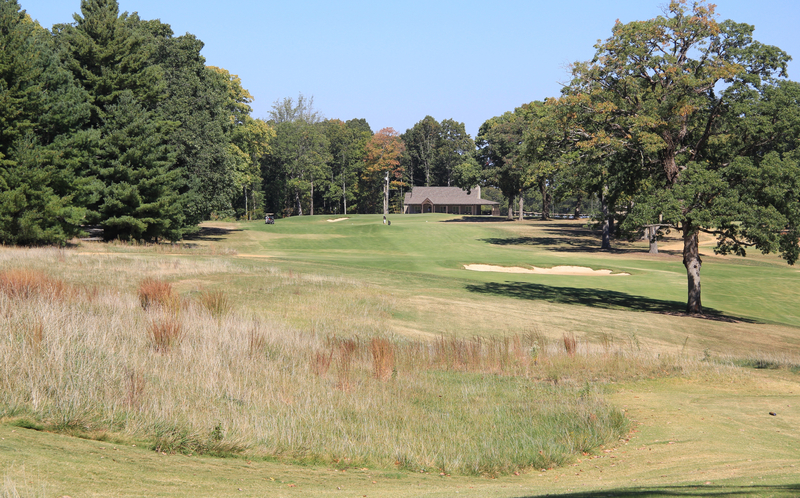 There are a few areas where additional trees could be removed to really open up the course and provide more options for players. That being said, if I was a student at Sewanee, you would find me here every morning before classes and every night before dinner. The story of alumni and various businesses coming together to resurrect the course is an encouraging one for all of us that love the game. 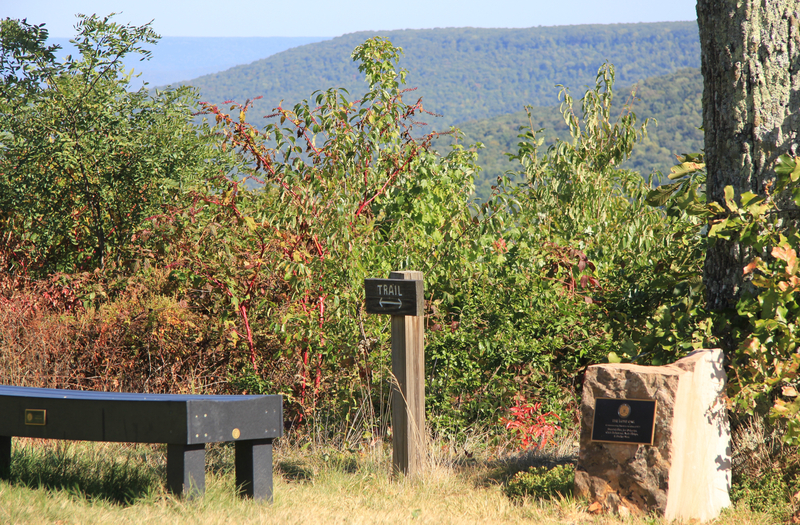 When I am next driving to Nashville or Chattanooga, I will definitely swing back by Sewanee for another round. Until then, I’ll continue to be jealous of the students that have this Hanse design in their back yards.